Now that spring is in full bloom, consumers are requesting a “freshening-up” of their current 3DL (thermofoil) installations. Here are a few ideas to bring to the table when a customer may not want a whole new system, just a new twist on their existing unit. The glass doors don’t need to be clear glass. How about using frosted or textured glass? Or maybe a chalkboard or fabric insert for a fun, easy and inexpensive change. 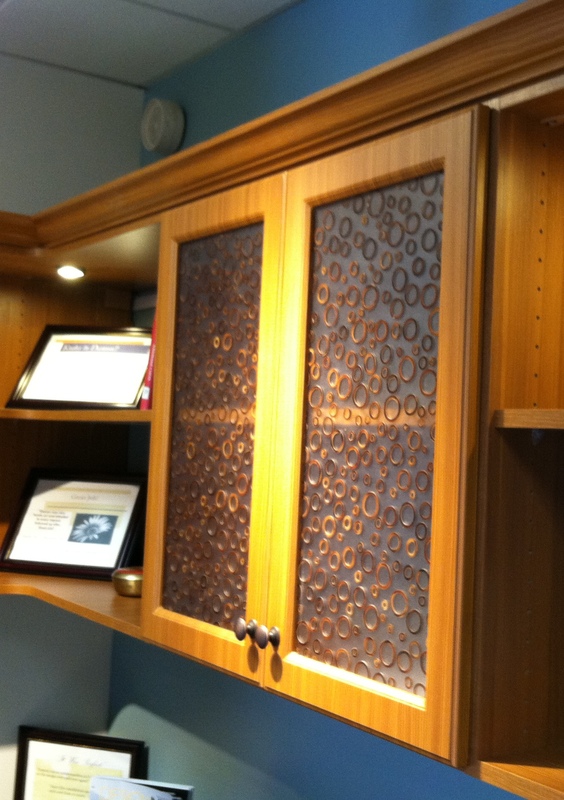 The ochre colored hardware on these Chocolate Pear doors really pops! A change from classic handles to sleek modern hardware will create a different feel to the space. 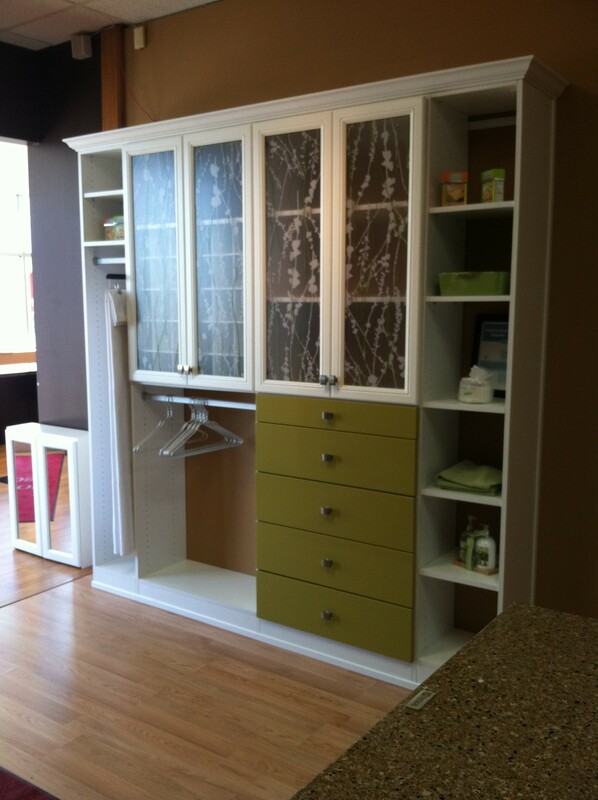 This allows customers to add a splash of color to an existing unit. 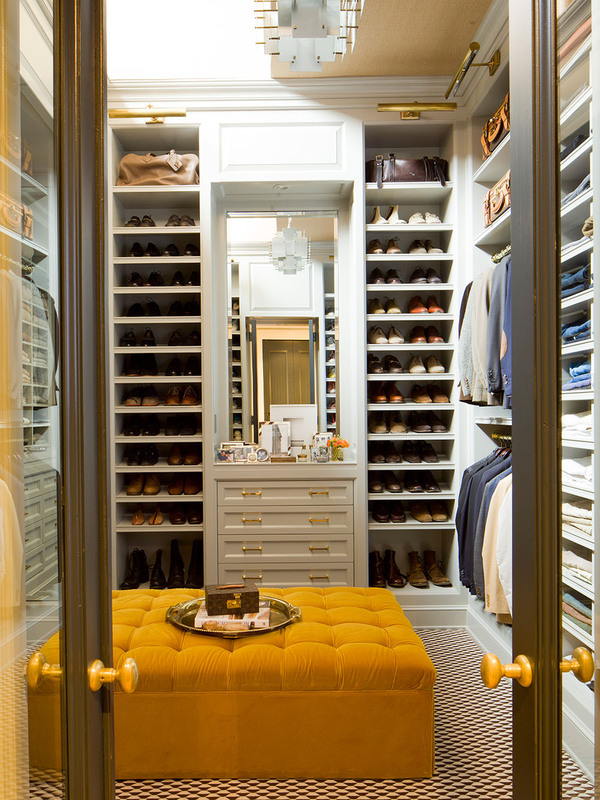 Small color swaps can really brighten up a space. Or, maybe your customer just wants some spring cleaning advice. As with any material, smoke, oils, grease and sunlight will wear and discolor thermofoil. Fortunately, keeping thermofoil parts clean and looking new is very easily done. Everyday spills and splatters can be cleaned with warm water and mild soap. If desired, a non-waxing spray polish will revitalize the parts. Harsh chemicals and cleansers such as acetone and lacquer thinners are unnecessary and will permanently damage thermofoil. What are some ways you are sprucing up your space for spring with 3DL (thermofoil)?